It’s almost time. On Monday, October 16th, the final season of Star Wars Rebels—where an entire series’ worth of growth and heroism comes to a head—will begin. If you’ve not been an avid viewer, this recap will fill all the important bits in. Released by the Star Wars YouTube channel, this quick five-minute video runs through all the most essential parts of the arc of Rebels. How Ezra Bridger, a young orphan from Lothal, is taken in by a surviving Jedi, Kanan, and the den mother of an isolated group of rebels, Hera. How he’s given Jedi training. And how his whole crew joins the bigger war, taking on Vader, Maul, and Grand Admiral Thrawn in the process. 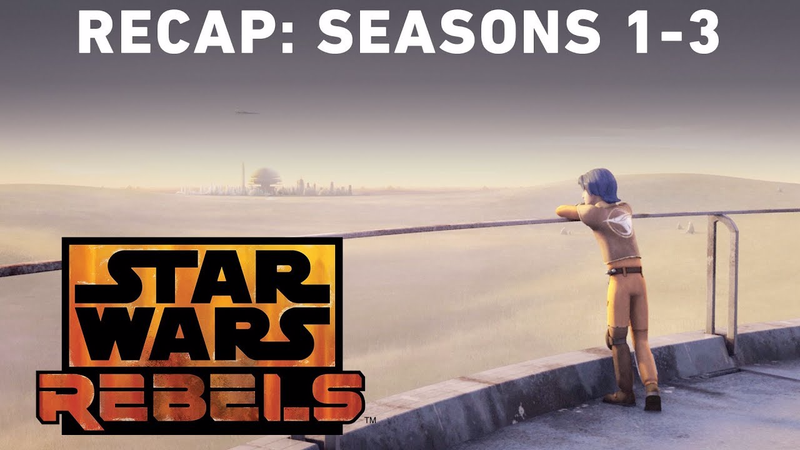 On an episode-to-episode basis, Rebels oscillates from decent to pretty great, and that slight bit of unevenness can make it tricky to feel the full weight of the series arc. Laid out here, though, all together, it feels impressively large in scope. I’m excited to see where it goes as it all wraps up.